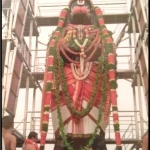 Categories: Bhakti, Hanuman, Rama, Srimad Ramayana. Rare it is for a person to even earn serene devotion for Lord Hari (sattvic Hari Bhakti). Rarer still it is to sustain it. For the lush growth of such Bhakti one should, first of all, abstain from self-praise. In Srimad Ramayana, nowhere does Hanuman — in spite of performing great feats — brag. When Rama and Lakshmana entered Kishkinta, Sugreeva was gripped with fear as he suspected them of being Vali’s men. It was Hanuman who went up to them first, made enquiries and brought about friendship between Rama and Sugreeva, holding Agni (the fire god) as the witness. Hanuman crossed the ocean easily and found Sita. He coped with several hurdles during his journey across the ocean. Sita, out of fear, suspected Hanuman to be Ravana or some demon in disguise. But Hanuman cleverly narrated the life story of Rama to Sita and gave her Rama’s ring. 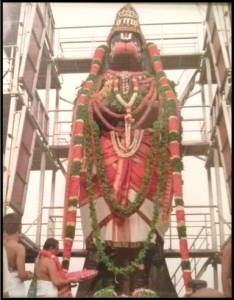 Taking the head ornament (choodamani) given by Sita, Hanuman visited Ravana in the latter’s court and spoke of peace. Returning, he gave the head ornament to Rama and narrated all that had taken place. 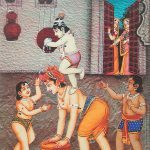 He carried Rama and Lakshmana on his shoulders and reached the shore. He brought Vibhishana and Rama together. Building a bridge across the ocean they reached the other shore. In the battle Rama, Lakshmana and the whole monkey army fell unconscious. All, including Rama and Lakshmana, could be brought back to life only if Sanjeevi Mountain was brought there, as advised by Jambavan. Well! What would someone like us think at that instant? ‘All along we had believed Rama to be God and that he would save us. But it has turned out to be otherwise. It is I who have to save him now! Only if I bring Sanjeevi Mountain will Rama return to consciousness. What sort of a God is He? ’Our thoughts may run along such lines. But what did Hanuman do in such a state? He looked at Rama and said ‘you are enacting this drama to suit the human Avatar that you have taken. Even spotting this Sanjeevi Mountain will come about only if I am blessed with your Grace; only then can I bring it here’. Hanuman left only after taking the dust from the feet of Rama who lay unconscious and wearing it on his head. Sanjeevi Mountain was brought and the battle continued. Later, Hanuman stopped Bharata who was ready to enter the fire by giving him the message of Rama’s arrival. What is the response of Hanuman when Sri Rama said to him ‘how great a feat you have achieved’? Hanuman told Rama, “O Lord! Only if one is like Hanuman, without self-praise will the crop of Bhakti grow.